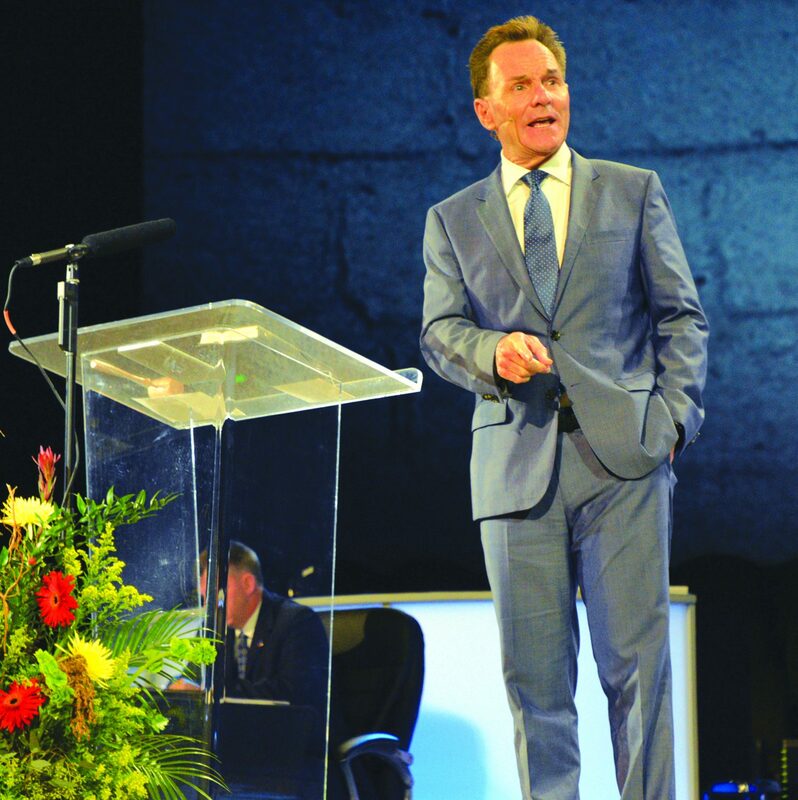 BOSSIER CITY – With a decrease in baptisms across the Southern Baptist Convention and the reality of the International Mission Board cutting back its missionary force, SBC President Ronnie Floyd believes he knows what the No. 1 need is for Louisiana. Speaking to messengers during the final session of the Louisiana Baptist Convention Annual Meeting at First Baptist Church in Bossier City, Floyd said he is convinced Southern Baptists are moving away from the mission of God. “When we move away from the mission of God, you also move away from the power of God,” he said. For God to move, Floyd said, prayer must be at the forefront. Preaching from Acts, Floyd recounted how the disciples gathered in the upper room soon after Jesus’ resurrection and called out to God, as one body. Then, God answered their prayers. Just like the early Christians, Floyd said today’s believers need to be of one mind, purpose and accord by calling out to God through prayer. If any great movement of God is to occur, including what he hopes is the next Great Awakening, he underscored it must be preceded by prayer from His people. First, Floyd said America needs an unprecedented movement of God like none that has ever been seen before. Floyd then challenged messengers to do something some of them may never have done in their churches. Within the next 6-12 months, instead of having a typical worship program, he urged them to turn the service into a prayer meeting. “Wouldn’t it be awesome if God came to Louisiana, if God came down on a Sunday morning in your church?” he asked. Second, Floyd said America needs the church to be urgent in sharing the Gospel, pointing out his belief that a lack of urgency is the result of a combination of a theological problem, an eschatology problem and a spiritual problem. “Stop being content to live your life and to do ministry without the power of God,” he said. Refuse it. “Just think what it would be like in the churches that are left in this room, if our churches would refuse and say we’re not going to go back,” he continued. “We’re going to refuse to be content.